The Economics Forum 21: PUT XI JIN PING THE MURDERER BEHIND BARS! PUT XI JIN PING THE MURDERER BEHIND BARS! Increasingly helpless and desperate, Uighurs building new lives in Australian suburbs feel compelled to go public with their stories and identities despite the risks. The security agents came for Adeham Abliz late on a Thursday night. That day, September 8, 2016, had been much like any other in the 59-year-old Uighur man’s life in the city of Ghulja in north-western China. Abliz, a shopkeeper, had performed his five daily prayers, starting with fajr at dawn through to isha after dusk. He had wandered through the neighbourhood and brought home groceries after a day of fasting in the lead-up to the Islamic holiday of Eid al-Adha. He would not be allowed to finish dinner. Around 11pm, two officers in plain clothes arrived at the house. “We need to talk to you about something. You need to come with us,” they told Abliz, a devout Muslim who had provided religious teaching in the local community and kept religious texts in his house – marking him as a subject of suspicion for the Chinese Communist Party. Abliz and his family resisted, demanding to know why he was being taken. Ignoring their desperate pleas, the two men escorted him outside and took him away. “That was the last time I saw my father with my own eyes,” says his daughter, Meyassar Adham. The same day, she had been granted a visa to join her partner in Australia. Advised by her migration agent to urgently get out of Xinjiang province, she left a week later, bound for the safety of the Adelaide suburbs. Her father was promptly sentenced to two years in prison for his religious practices. In September this year, it became clear he would not be set free. Now 61, Abliz was transferred to a mass detention camp, joining hundreds of thousands in a vast “re-education” network established over the last two years in Xinjiang, known as East Turkestan by independence-minded Uighurs. In the camps, they are forced to renounce their religion and culture and adopt Communist ideology. Reports suggest people have been abused and tortured for failure to comply. Adham, raising one child and pregnant with another, is haunted by the memories. For members of Australia’s 3000-strong Uighur community, the story is not unusual. Fairfax Media has conducted extensive interviews with more than a dozen Uighurs in Adelaide; all have relatives in detention and are struggling with the burden of knowing – or not knowing – the fate of parents, siblings, partners, grandparents, cousins, uncles, aunties and friends swept up in the unprecedented crackdown. Increasingly helpless and desperate, the Australian-based Uighurs felt compelled to go public with their stories and identities despite the risks. Their accounts – while consistent with a growing body of information aired by journalists, academics, human rights groups and the United Nations – are difficult to independently verify, given the lack of transparency around the Chinese government’s activities. They've built a life here, but for many in Australia's Uighur community, it's what they've left behind that haunts them. There are common themes in many of the testimonies. A difficult departure from home seeking a better life; growing alarm from afar as the crackdown intensifies; contact with family becoming impossible as authorities prohibit contact with the outside world; sporadic warnings about the danger, sometimes conveyed in code or through third parties; scant details, desperately sought; children and elders left without people to take care of them. Horigul Yusuf came to Australia in 2005, reunited with her husband after seven years apart. The religious family had a long and difficult history with the CCP. In Adelaide, she joined the largest Uighur community in Australia – about 1500 people across 300 families. All of Yusuf’s brothers have been detained in internment camps or sentenced to prison. The 52-year-old last spoke to her elderly parents on October 22, 2017. “It was a short and sharp conversation,” she says. Her parents warned her to cease contact. “People threatened us and said if you contact relatives overseas, we will send you to prison. They forced us to sign a paper saying we won’t be in contact,” she recalls her mother saying during the call. Yusuf, a proud woman with intense, dark eyes, is visibly burdened by her family’s struggle and overcome with emotion as she talks about it. “We live in this country freely and without difficulty. We can do whatever we want. But at the moment, it’s so hard for us. I can’t even explain. I can’t express how difficult it is. I don’t want to socialise with anyone, I just want to be at home and think about my family,” she says. The Uighurs have had an uneasy relationship with Chinese rule for centuries. In the decades following the collapse of the Qing dynasty in 1912, there were multiple and short-lived efforts to establish an independent state. Communist revolutionary Mao Zedong’s forces then established control in 1949, incorporating Xinjiang into the People’s Republic of China. In the decades since, the CCP has met ongoing resistance and extremism with an iron fist. Following outbreaks of unrest and a string of high-profile terror attacks, peaking in 2014, the Chinese government escalated efforts to curb Islamic practises and separatist sentiment. The authorities have banned religious clothing, including the face veil, and "abnormal" beards. Parents have been banned from giving their children names deemed religious. The government has rolled out an immense network of security cameras and identification and body scanners in public places as part of a highly advanced surveillance state. Police interrogate citizens at checkpoints, search phones for suspicious material, lock down access to once-bustling public places, and forcibly collect voice recordings and biometric data. Fears are growing the cutting-edge surveillance methods could ultimately be deployed across China and exported internationally. Fairfax Media recently visited Xinjiang, observing the all-consuming security apparatus in action. The centrepiece of the campaign has come in the form of the detention camps, now described as “vocational training centres” by authorities that, until recently, denied their very existence. Estimates about the number of detainees range from hundreds of thousands to a few million, with the United Nations highlighting reports of up to 1 million as credible. The camps appear to vary across the region, with some detaining people 24/7 while others allow detainees to go home at night. Reports suggest the camps are filled on a quota basis, with people targeted by local authorities indiscriminately and without specific charges. Once the government focused its efforts on politically active and observant Muslims. Now the campaign captures all Uighurs and other minorities. Last week, Australia was among 13 governments to raise Xinjiang in a scheduled UN Human Rights Council review of China’s record. Australia’s representatives outlined “alarm at the numerous reports of large numbers of ethnic Uighurs and other Muslim groups held incommunicado and often for long periods without being charged or tried”. The official statement warned the measures would exacerbate, not prevent, extremism. Since acknowledging the existence of the camps, the Chinese government has released propaganda material presenting an idealised image of the facilities, where happy “trainees” enjoy “transformation through education”. This week, Chinese Foreign Minister Wang Yi urged the world to ignore “gossip” and said the measures would prevent terrorism. The CCP appointed a hardliner called Chen Quanguo as its top official in Xinjiang in 2016. Chen made his name as the party chief in the neighbouring province of Tibet, where he suppressed Buddhist resistance to CCP rule. Under his authority, security spending has expanded dramatically. 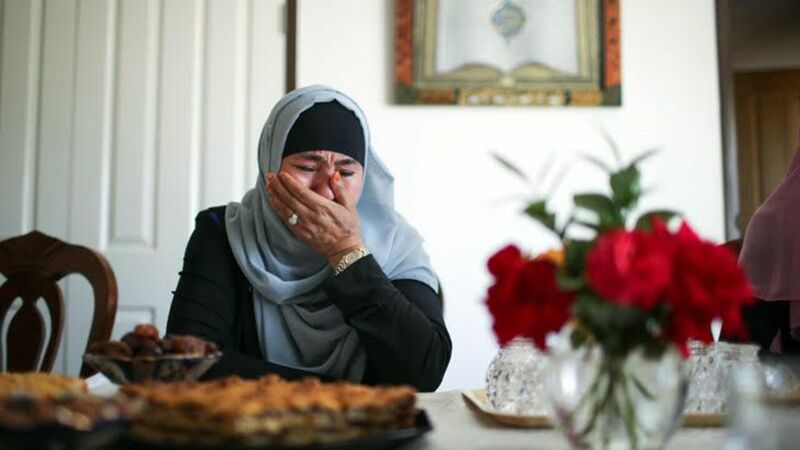 Nursa Mehmetjan, a 45-year-old woman from Ghulja – known as Yining in Chinese – was on the cusp of escaping the deteriorating situation in early 2017. She got engaged to Adelaide man Muhammad Abdullah and was set to join him within months. But after a two-week rendezvous in Malaysia with Abdullah, Mehmetjan returned home and the Chinese government put a stop to her plans. First, she was interrogated and her passport was taken away. In February 2018, she was taken to a nearby camp where she remains. In a brief exchange of messages on February, Mehmetjan told her fiance she did not know how long she would be detained and warned him not to try and get in contact. Abdullah, aged 81 and whose first wife died in 2016, says he could only wish Mehmetjan good luck. China’s crackdown against Muslim minorities aims to socially engineer their identity to make them more loyal to the CCP, says Maya Wang, a senior China researcher for Human Rights Watch. According to Wang, the efforts are unprecedented in their scale and use of technology. “It is massive social engineering of a large number of people – not only people in the detention camps. There are people in other forms of detention and 13 million people in the region live life under severe control not dissimilar to life in the facilities,” she says. James Leibold, an expert on Chinese ethnic policy at La Trobe University, says China has faced a problem with Islamist extremism but the response has been “completely disproportionate”, counter-productive, fuelled by racism, and fundamentally colonial. Leibold says the efforts fit with a long-running pattern of Chinese government efforts to stamp out “deviant groups”, be they in Xinjiang, Tibet or elsewhere. “We haven’t seen anything else on the scale of what appears to be these massive concentration camps, some of them with the capacity to house tens of thousands of detainees,” he says. Xinjiang is also rich in natural resources and sits at the heart of Chinese President Xi Jinping’s signature Belt and Road Initiative, a massive infrastructure, investment and trade strategy spanning Europe and Asia. Renagul Tursun, a mother of three based in Adelaide, points to economic imperatives as China’s main reason for wanting to secure control in Xinjiang. She has not been in contact with relatives since December 2017 but understands her younger brother and two cousins have been detained. The Uighur community in Adelaide has vibrant religious, cultural and political scenes. It has grown over decades and is centred around the north-eastern suburbs, where the East Turkistan Australian Association oversees activities and practicing Muslims attend the Abu Bakr As-Siddique Mosque. Some Uighurs who initially migrated to Sydney and Melbourne have subsequently moved to Adelaide to be with the larger and more tight-knit community. The culture has made its mark on broader Adelaide, which now has a number of authentic Uighur restaurants, including the large Tangritah Uyghur Restaurant that occupies a former church in the CBD. Life in Adelaide offers hope but is not without its challenges. Two Uighurs tell Fairfax Media they are suffering from depression and receiving treatment. “Every morning, I get up and these things will come to mind until I fall asleep. They will surround me all the time,” another says. One person spoke of the coded pleas for help, sent from relatives via the Chinese messaging app WeChat. Wang, of Human Rights Watch, says the condemnation from Australia and elsewhere has been growing but is not enough. “Australia has not been completely silent but I would say the volume has been very low and that would be taken as a sign of weakness by the Chinese government, that Australia doesn’t care much about human rights in China,” she says. TRASH AND BURN THE CHINESE BEIJING RATS! BEIJING CHINESE RATS ARE BURNING! KILL AND BURN ALL CHINESE HAN IMPERIALIST RATS!